Can Working for a Law Firm be Rewarding for a Marketer? These are questions we've heard several times during the last few months while working as marketing trainees in the Next Gen Marketing Professionals (NGMP) program at Roschier, the biggest law firm in Finland. We have noticed that marketing at a law firm seems to be an idea that is hard to pinpoint for many, maybe because as a consumer you don't come across it that often. We who are not lawyers, law students, or a big corporation are not within the target group of a B2B law firm like Roschier. When we stepped foot in the office on our first day a few months ago, we didn’t quite know what to expect. As it turns out, the variety of possibilities that opened up to us was enormous. The basic picture you paint in your head when you hear about law firms is one of important-looking people in suits in courtrooms and negotiations. However, a whole other world has opened up to us regarding the different professionals who are also very much needed at a law firm. Lawyers do the client work, business operations professionals do everything else. For the two of us – working as business operations professionals within the Marketing and Communications team and the Digital Solutions team – this means that we got to work closely with the core of both the brand and the services provided by Roschier. Significant for our roles at Roschier, compared to those in other firms participating in the Next Gen Marketing Professionals program, is what the marketing efforts are aimed at. Roschier is a professional services firm, which means that people are the company’s most important asset in providing high quality services, and thus the marketing efforts address people and the services they provide. The services provided by a professional services firm are characterized by being highly knowledge-intense because the quality of the services relies on people’s skills and expertise (Anthony et al. 2014; Ross 2016). Therefore, our job as marketers is based on strengthening the brand’s quality within and towards two main categories – providing clients the best law services there are and attracting future talents. As a leading provider of legal services in the Nordics, Roschier aims at constantly developing and modernizing the processes of a law firm. Service design and client-centricity are currently buzzing in the business world and the legal industry is no exception. Service design can be defined as the design of a service aiming at improving its quality and the interaction between the service provider and the client (Reason, Løvlie & Flu 2016). The reason it is trending right now is due to three significant economic, social, and technical trends, which are more or less familiar to all of us. These are businesses now seeing more value in services, customer expectations increasing, and the digital revolution, which is having a significant impact on the service sector. Service design offers tools to both improve services in a structured and productive manner, and to humanize technology (Løvlie & Flu 2016). It has been rewarding getting a sneak peak at the kind of shape service design and design thinking takes in a law firm by being a part of the Experience Design Office (EDO) at Roschier. The EDO is focusing on ensuring client throughout the whole firm and supporting the organization in identifying and concretizing customer experience initiatives through service design. In the fall, the EDO organized a Coffee Cup Challenge in order to ask for and receive feedback and learn about what the company can do better tomorrow than today. We received several hundred valuable insights that we are really excited to start working on during the second half of the program. This includes questions regarding how the services and brand are experienced by stakeholders, as well as how Roschier is perceived as an employer. Attracting future talents can be managed through strengthening a firm’s employer brand. For those unfamiliar with the concept, an employer brand can be defined as the building of a unique company image providing benefits that attract a specific group of talents identified by the company (Moroko & Uncles 2008; Backhaus & Tikoo 2004; Edwards 2010). For a professional services firm’s success and survival, the recruitment of talented people can be critical (Carlson, Connerley & Mecham 2002), which makes employer branding one of the core elements. It is crucial for a law firm like Roschier to be perceived as an attractive employer in order to attract the best talents now and in the future. However, there is no simple recipe for building a successful employer brand. These are important questions that we get to consider in our daily work as part of the Marketing and Communications team at Roschier. Putting on our employer branding glasses, we have learned that a lot of the concrete marketing activities we do, like social media marketing and events, may be aimed at strengthening the employer brand towards different groups of future talents. This means that everyday activities – whether a single social media post or an event aimed at students – in some way or another influence the perception of the employer brand in the eyes of possible future recruits. Therefore, it is important to keep in mind that even the smallest marketing efforts can create associations that, together with other activities within the firm, create an image of the employer. All in all, it is the employer image that defines your level of attraction towards future talents (Backhaus & Tikoo 2004), and everything you do in the name of the firm should be considered equally important. In developing this mindset as a trainee, you learn to steer your activities in the right direction at an early stage. More importantly, you learn what marketing can be like at a law firm. 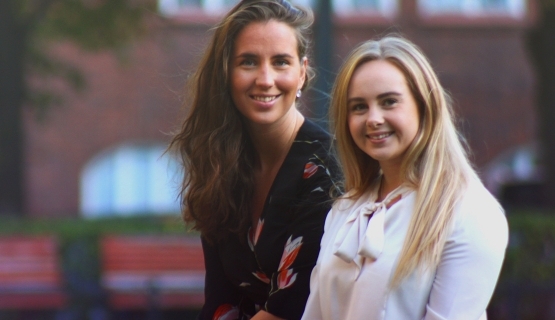 Elin Lahtivuori and Stina Einola are participating Aalto EE's Next Gen Marketing Professionals program. Currently reading: Aalto Leaders' Insight: Can Working for a Law Firm be Rewarding for a Marketer? The holy grail of emotionsAino Aho and Salla Lukkari from Next Gen Marketing Professionals share their experiences and insights from the program. Creativity, an asset to boostRoosa Ketola from Next Gen Marketing Professionals program shares her experiences. Everybody has an opinion on marketingSalla Lukkari from Next Gen Marketing Professionals program shares her experiences.